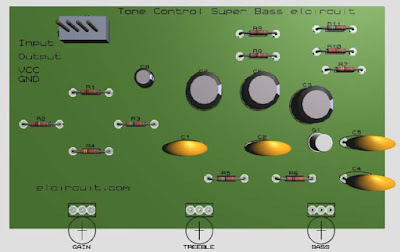 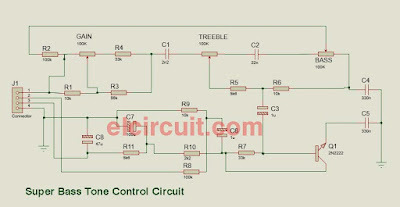 Here I will share a very useful tone control on your power amplifier circuit, using this tone control circuit as a pre-amplifier, making your power amplifier circuit more complete and more comfortable to hear. Below is an overview of the scheme and PCB layout for you to create. 1. 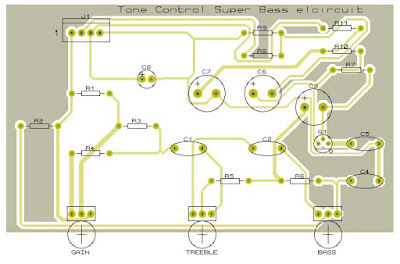 Audio Input from Media Player , Radio/TV/Tape/Mobile Phone/PC/Laptop/etc. 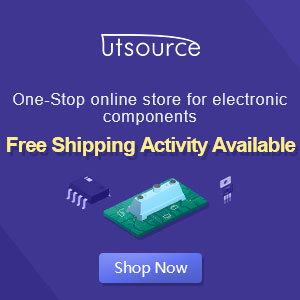 For the 2N2222 transistor, you can replace it with transistor C945, C828. 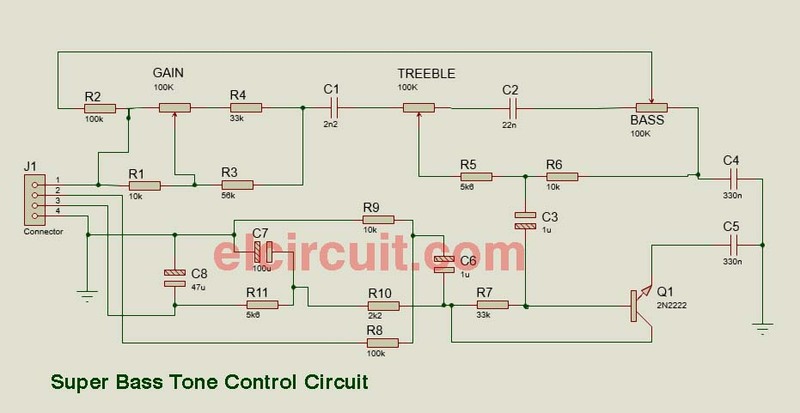 Sir, Explain the J1 PINOUT, I don't know where should i connect ?